Garage Door Repair Wheeling, IL | 847-462-7070 | Call Now !!! For any garage door problem, you can rely completely on our crew of expert technicians. Our garage door repair services cover all doors, parts and openers and even keypads and remote controls. We are among the industry leaders in Illinois. If you are looking for a garage door company in Wheeling that offers emergency services then Garage Door Repair Wheeling is the company for you. Though we do not manufacture garage door parts we keep our trucks well stocked with them. We do this so that we can start a job and finish it in the same day without having to return with parts. This is why we are considered the best garage door company in Wheeling and offer the best repairs, installation and services. With our professional services, you obtain flawless operating automatic garage door. Our phenomenal team consists of skilled specialists who are fully equipped to provide the perfect repair to broken cable, malfunctioning spring, stuck opener, damaged safety sensors and rusty steel panels. We do it all for you via our scheduled service and emergency service that specializes in the replacement of entire door systems including the opener. Technicians take care of all details while working at great speed and the maintenance service which we offer includes everything from panel cleaning and repainting to the replacement of worn-out components. Garage door springs are the main part of a garage door. They are what make the garage door go up and down. But like anything else they will get worn down after a while. There are torsion springs and extension springs depending on the weight of the door. These are dangerous to repair or replace if you are not a professional. This is why the folks in Wheeling call us at Garage Door Repair Wheeling to do this for them. 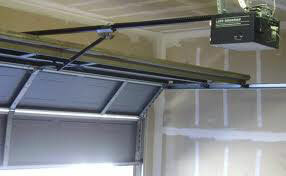 Garage door openers are another important part of a garage door. This is especially true if the door is a heavy one. These openers will do the work for you instead of you straining your back everyday. We at Garage Door Repair Wheeling carry name brands of garage door openers. These brands are Marantec, Liftmaster, Sears, Chamberlain, and Genie. There are three different drives for these openers. Belt, chain and screw drives. When you own a garage it is important that you keep up with maintenance/ adjustments on the garage doors. 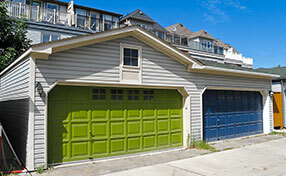 Keeping up the maintenance on garage doors can keep some little issues from turning into a big one. One of the maintenance that may need done is lubrication or adjusting springs. It can be a real pain to have to get out of your car to open a garage door or hit the garage door openers. This is why you need a garage door remote. This way you can open the door with just a touch of a button. Garage Door Repair Wheeling carries name brand openers and can install them for you. They carry brands like Genie Intellicode, Clicker, Multicode and Liftmaster Security. 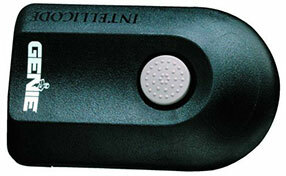 Garage door sensors are a product that is important to have installed on your garage door. They work along with the garage door openers. They have safety sensors, photo eyes and infrared. What they do is sense if something is below the door when it starts to open. If there is, it will tell the opener to reverse the door. Replacement/Installation services are a big part of a garage door company. At Garage Door Repair Wheeling we go above and beyond to give the best services possible. We can replace those sections or replace broken windows. We can also install steel, wood, aluminum, and glass garage doors. Garage Door Repair Wheeling can handle any services or garage door repairs that you need for your garage door. Here are a few issues we can help with. These garage doors also have cables and tracks. These will wear down after they have been is use for a while. The tracks may bend or break. The cables may come loose or break. We at Garage Door Repair Wheeling can handle these with no problems. For the best in garage door companies call us at Garage Door Repair Wheeling. We will guarantee a satisfying job. If you encounter trouble with any parts of your overhead door, we offer reliable garage door repair in Illinois. Our technicians can find the right solution after thoroughly evaluating the problem with your door. We work for customers in zip code 60090 and surrounding areas. Fiberglass garage doors are resistant to moisture and extreme temperatures and come in a variety of construction and design options. Garage doors are very notorious for home accidents. What’s troubling about this fact is that most of the victims are children. It is really creepy to see your garage door opening by itself. It is even scarier to see it open in the morning when you closed it properly the previous night. You may get a sigh of relief when you find out that everything is still inside, but then you'll ask yourself what's really wrong with your door.